One of my biggest weaknesses used to be time management. I would struggle with what to focus my attention on and how to prioritise tasks. I knew I could be working a lot more effectively than I currently was, so I made it my goal to work on this weakness to eventually eliminate it. I took internal courses for time management as well as reading up on how I can improve, and can confidently say it is not a main weakness of mine anymore. As a result, I feel a lot more productive at work and stress levels have reduced significantly. It’s a common problem in the work place, with so many people getting caught in a rut with daily routine and work habits. Don’t panic, it has happened to us all at some point in our career! For this reason, I wanted to share a few of the things I was taught, to hopefully help anyone else who is struggling with productivity and managing time. Once you’ve done this, begin tracking how much time you spend doing tasks in each category. Use a spreadsheet, piece of paper, whichever you find easiest, and track it over around two weeks. It’ll only take you a couple of seconds at the end of each day. The reason behind this exercise is to find out if you are spending too much time on one particular category, when really you should be investing more of your time on other tasks in order to achieve your goals. Everyone is different. My friend at work tried her very best to get me into spreadsheets as a way of tracking daily tasks, but they just never worked for me (sorry Lyn!). What worked for me, was a piece of paper on the side of my desk that I can quickly glance and refer to throughout the day. First things first. Go through your email reminders, sticky notes, notepads, and make a list of jobs you need to get done, before determining what is most urgent. I’m the first one to admit I used to list everything as urgent, but when evaluated, some weren’t as urgent as they first seemed. Although some tasks may be due by the end of the day, they can wait until the afternoon to make time for tasks that are due in the morning. Check your list throughout the day. Is it still manageable? Cross completed tasks off. Do you need to add anything to it, shift it around a little? Some tasks may already have a deadline which will need to be adhered to, but others will not. Figure out how important the task is, and set your own deadline. Without doing this, you risk the task continually being put off to make way for other more important tasks, until it then becomes urgent at the last minute. – Just do it now! Get it over and done with and crossed off your list. You’ll feel much better for it, trust me. – Schedule it for later. Put it in your calendar for some time that week and make sure that when the reminder pops up, you stick to it. – Remove it completely. If it’s not important enough to do or schedule, it’s clear it will never get done. Consider delegating the task to someone else. How cheesy does that sound?! haha. But it’s true! 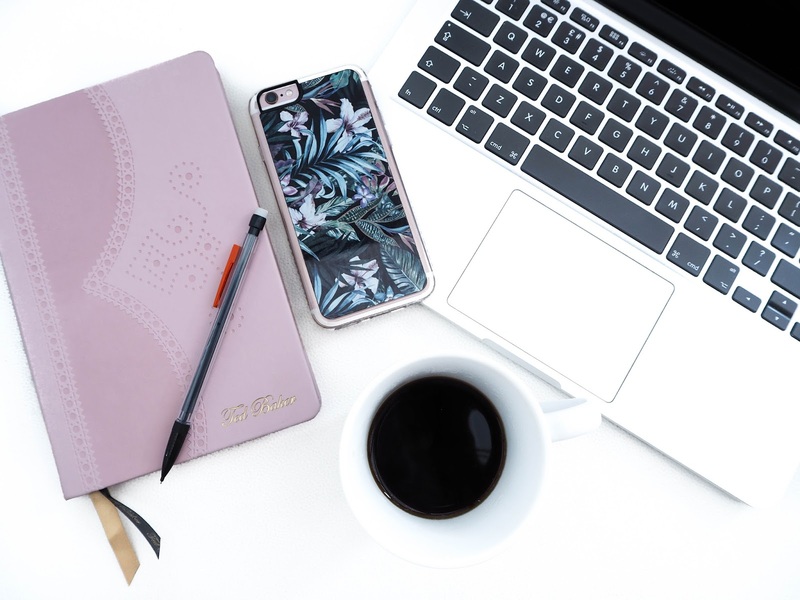 A messy, unorganised desk will not only make you feel like you have more work than you actually do, but there is no point writing a to-do list if it’s just going to get lost! Use folders to keep your inbox clean and tidy. For example, create a folder for urgent emails which need responding that day, and one for admin tasks, etc. Having a messy inbox gives me anxiety and I used to find myself going through them over and over again without actually getting anything done. This is why I always make sure my inbox is short and sweet and everything is in order. By creating a routine, you limit the number of choices you have to make, preserving your energy for actual work. Identify the habits and patterns you already have in place. Do you do the same thing every day as soon as you get into the office? Or just after lunch? – Start your day early! I have never been a morning person. Never ever. But recently I have been forcing myself to get out of bed and into work just before my contracted hours. I have found that this instantly eliminates that horrible unorganised rushed feeling you get when starting the day after every one else. You’ll be able to tick off so many tasks before midday if you start earlier. – Start with yourself. Take 10 minutes to have a decent breakfast, a big cup of coffee or just time to focus on what you’re about to do. – Work in 90 minute, uninterrupted bursts. Then go and have a cup of tea, anything to reward yourself with a little break. – Review your day. At the end of the day, review your day’s to-do list to prepare yourself for the next day. – Getting a good night’s sleep. – Plan your meals and wardrobe the night before. I used to waste so much time in the morning scrambling around looking for an outfit to wear. Now, I plan it the night before so that there’s no rush in the morning. – Use deadlines to motivate yourself. – Tackle the hard stuff alone – delegate where necessary or speak to your manager. You can’t give your work full attention if you’re trying to do everything at once. Doing too many things at once can cause anxiety, which reduces your ability to think clearly or creatively. Stick to one task, and when that’s complete then move onto the other. When a colleague asks you for a favour or to take on a new task, consider how valuable it is to the company, and how important it is to your own professional performance goals. If it isn’t important to your organisation, your professional goals and you don’t have the necessary time to do it, then say no. – Be aware of how much you’re working compared to your colleagues. – Identify low-value tasks that are not a priority for either you or the company. – Choose the right person. Will this task give someone else valuable experience? Does someone else have a better skill set in order to carry it out? – Involve your manager by explaining your delegation plan. Life is too short to feel stressed and anxious at work. There is nothing worse than the feeling of everything getting on top of you! I hope that these tips will help at least one person who is looking to improve their time management. You should begin to notice a difference not only in your productivity but you’ll feel a lot happier too both inside and out of work.